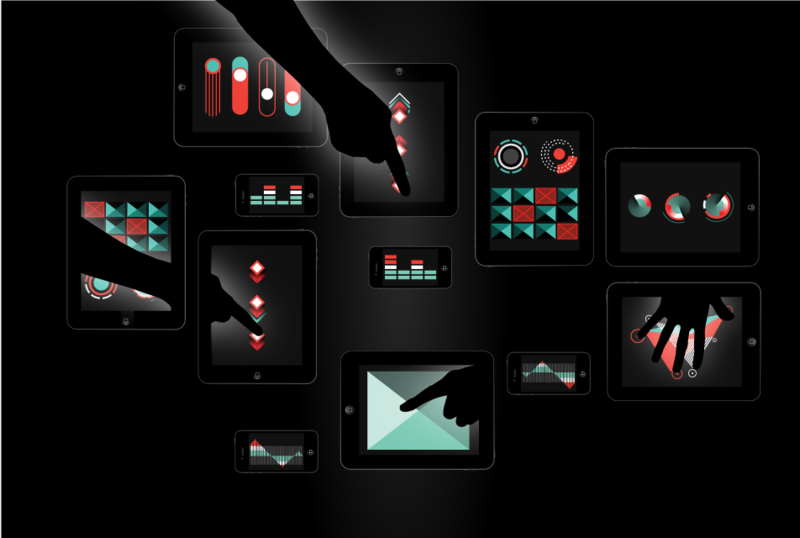 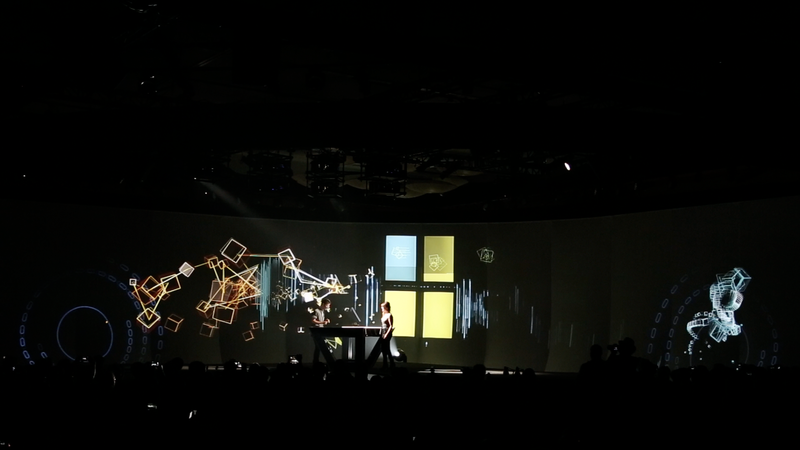 An on-stage immersive experience, using tablets and smartphones to mix live music and video projected on a giant screen. 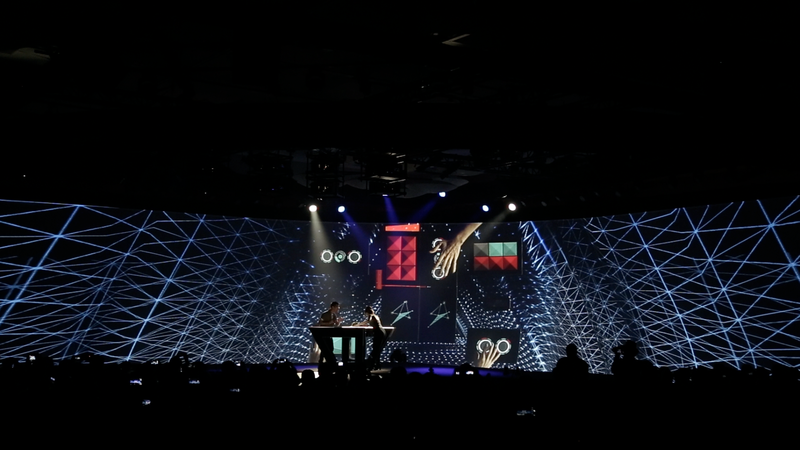 Qualcomm commissioned Moment Factory to create the opening show for Uplinq 2013, an annual event focused on new mobile technology in San Diego, California. 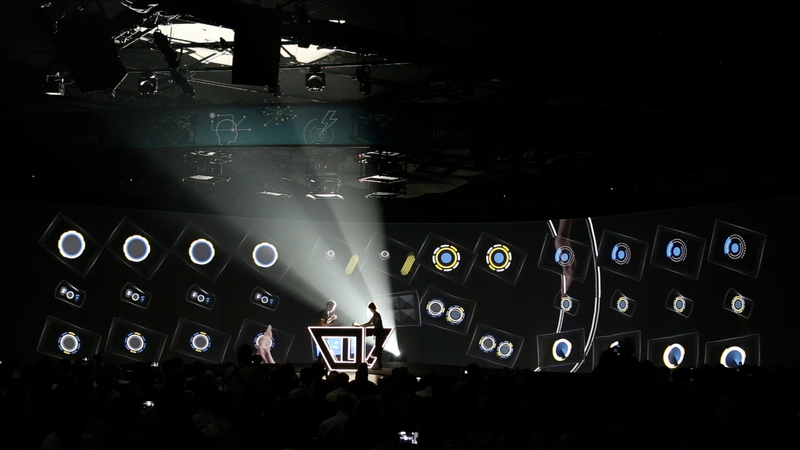 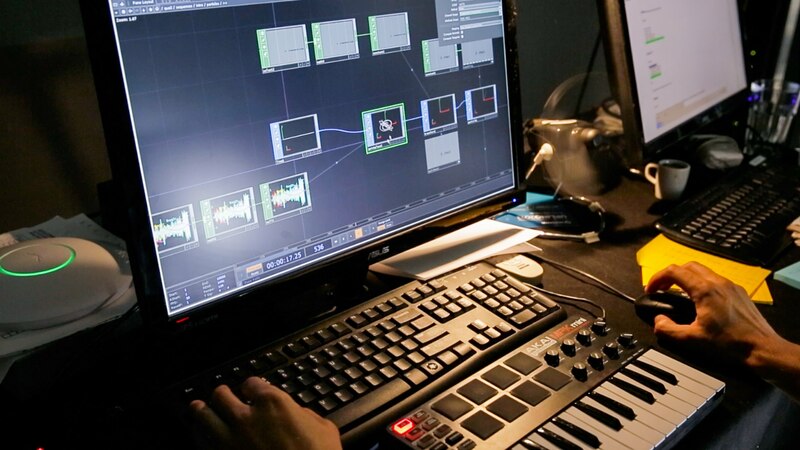 Qualcomm previously commissioned Moment Factory to create a multimedia segment for the opening of CEO Dr. Paul E. Jacobs’ keynote at the Consumer Electronics Show in 2013. 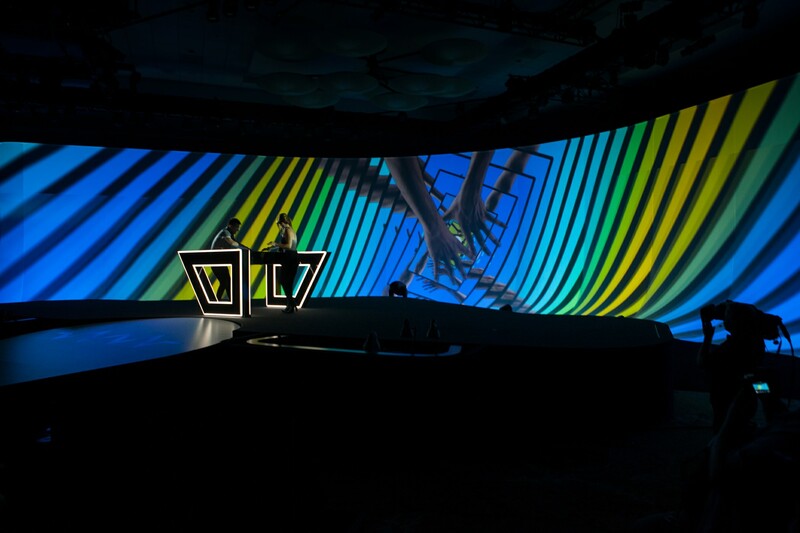 An event dedicated to creativity, it was clear we needed to deliver an opener for Uplinq that would showcase mobile technology as a keystone in the creation and development of digital culture. 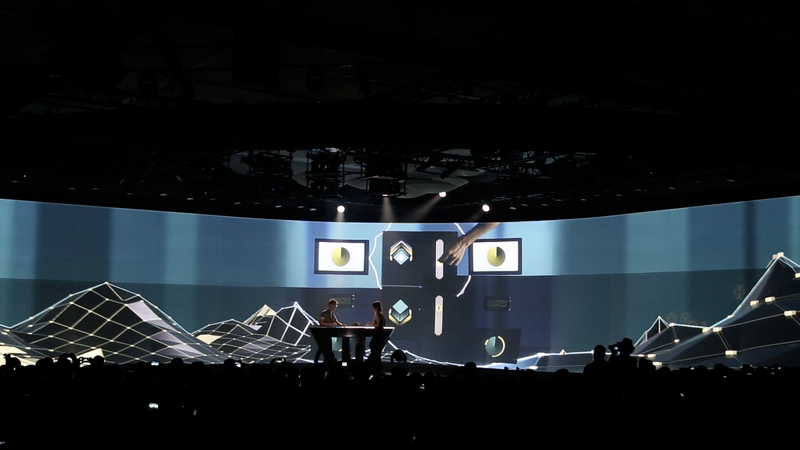 For this event, we worked with Vincent Letellier of Freeworm, who composed and directed the music, and VJ Jennifer Daoust a.k.a. 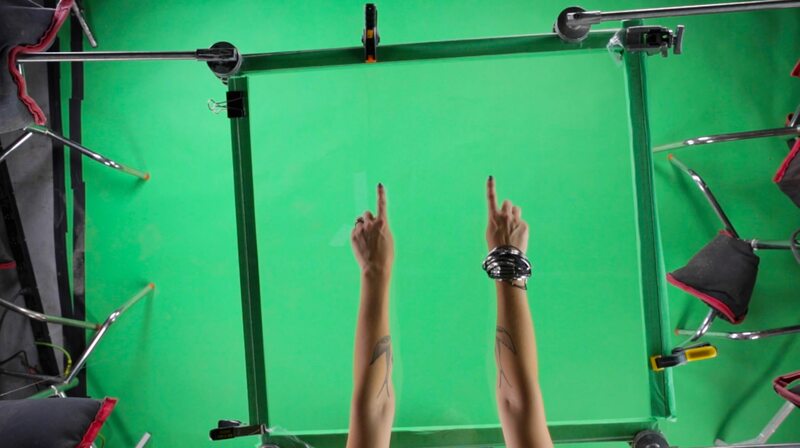 Video Girl. 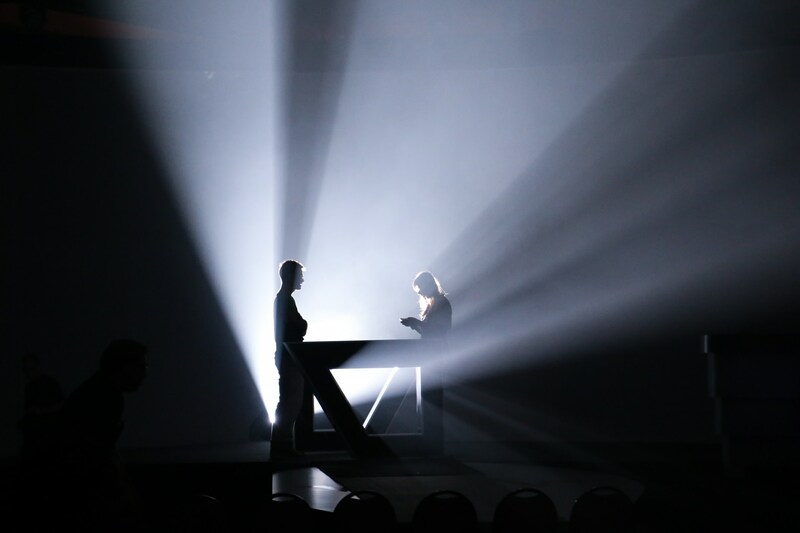 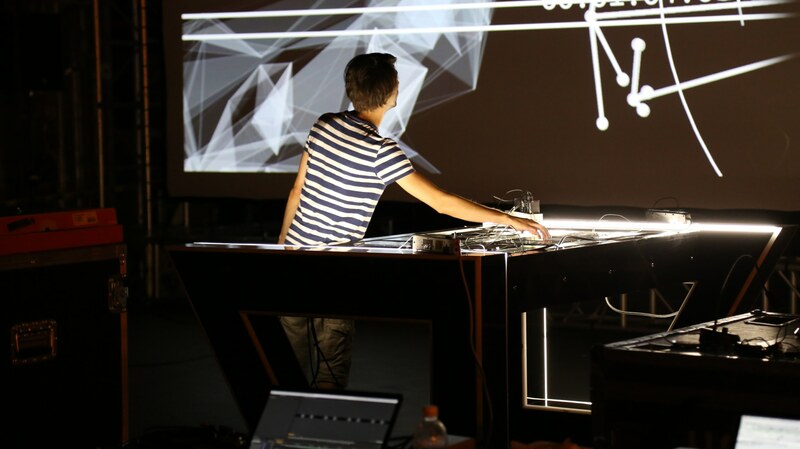 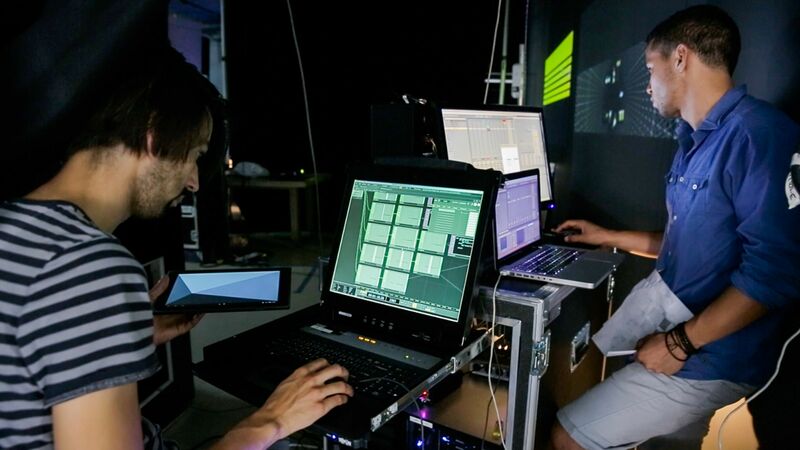 Two performers, standing on opposite sides of a DJ table evoking a battle, used tablets and smartphones to live mix music and video. 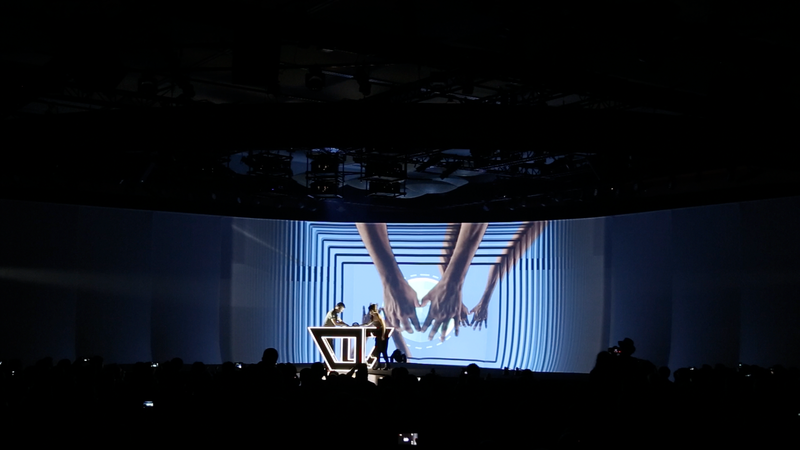 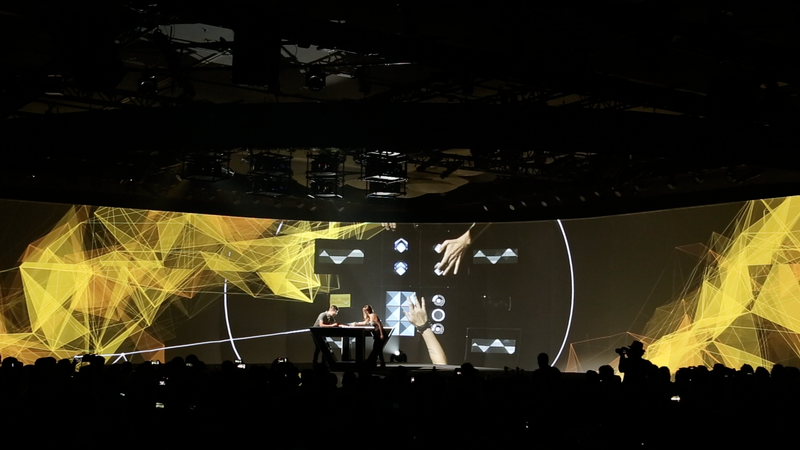 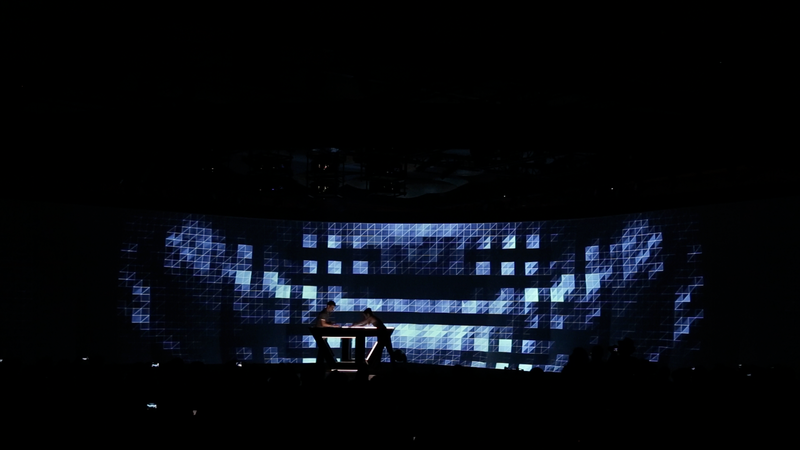 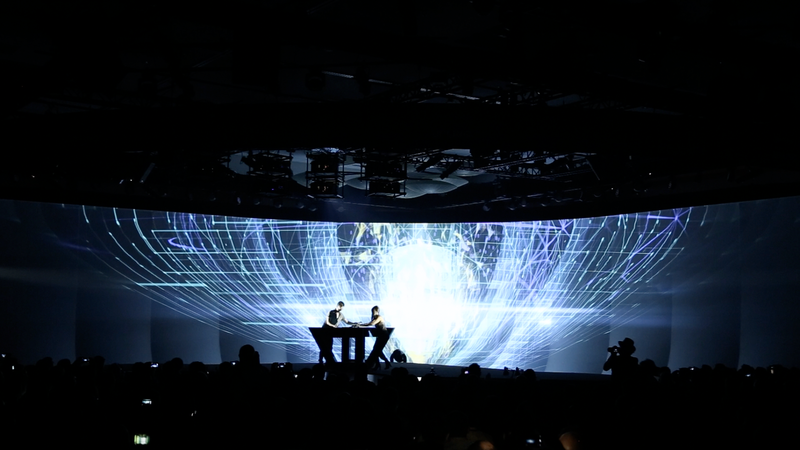 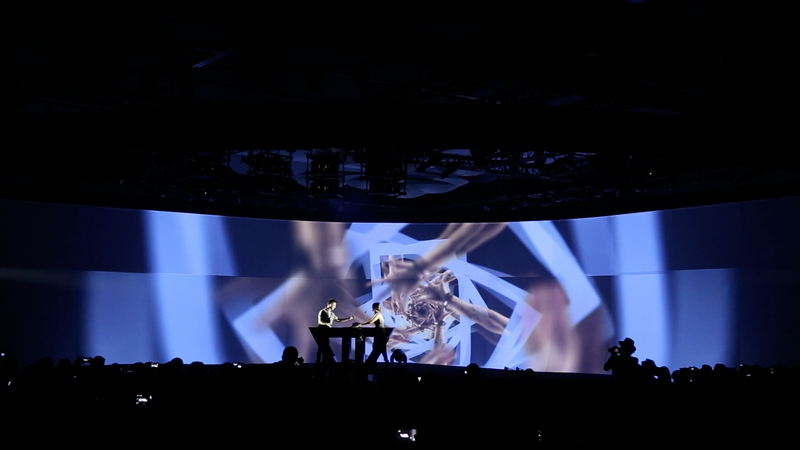 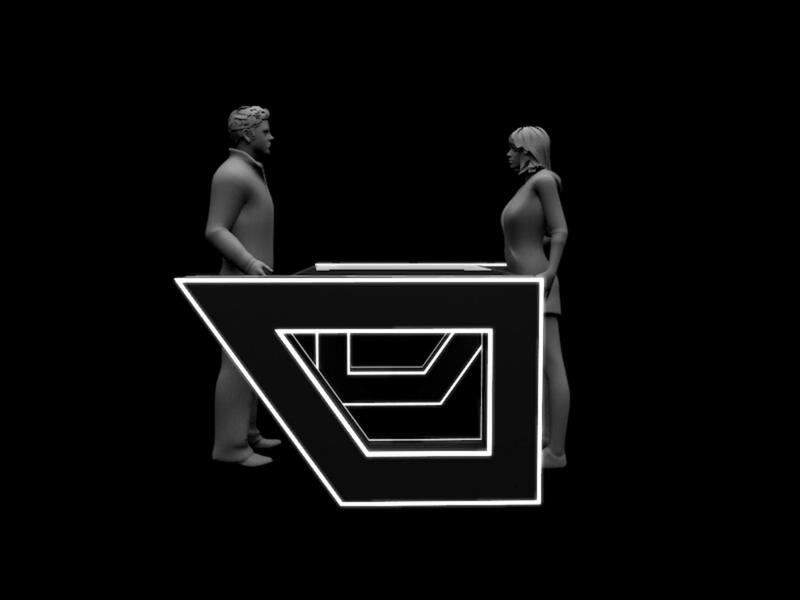 The mixed video was projected as a backdrop behind the performers, creating a live-rendered and immersive multi-sensory DJ set. 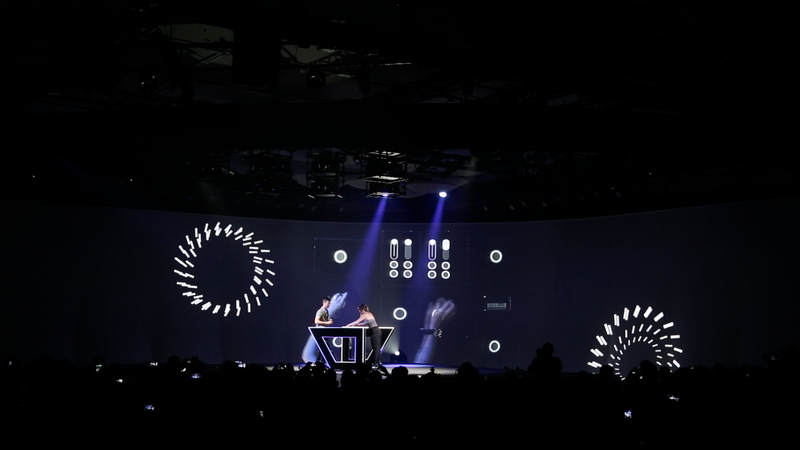 As the performers volleyed control back and forth, the audience followed, cheering as the throwdown escalated. 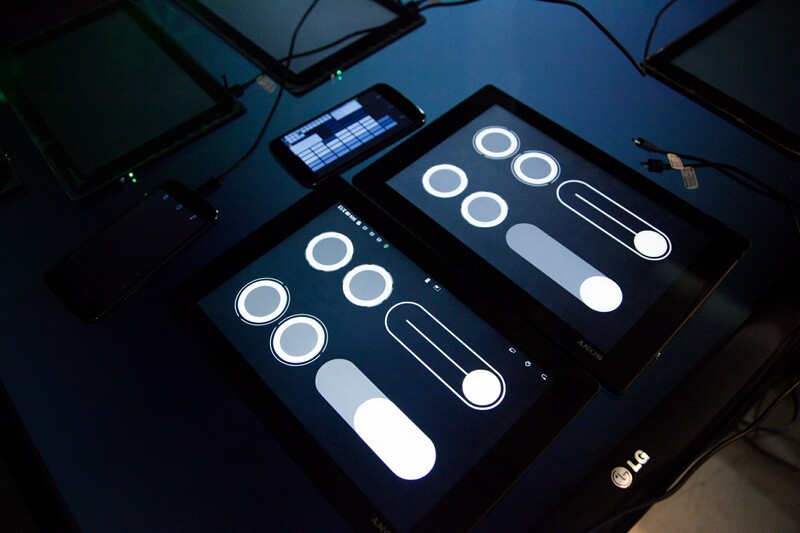 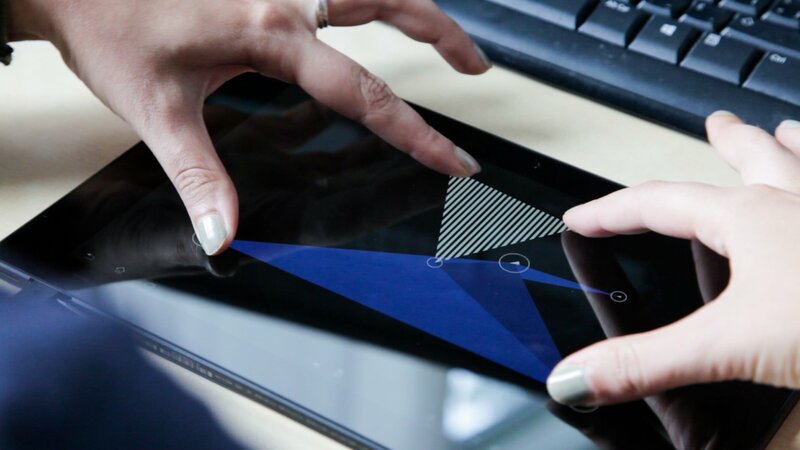 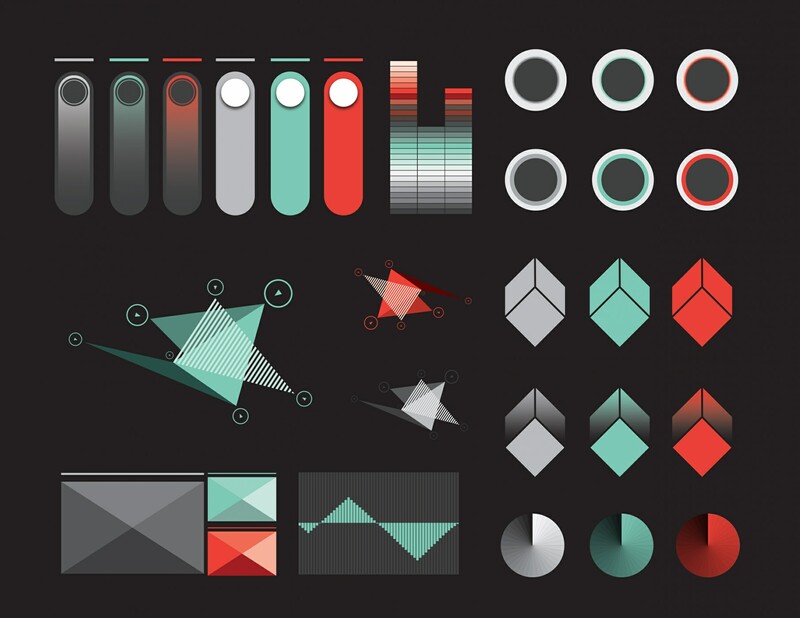 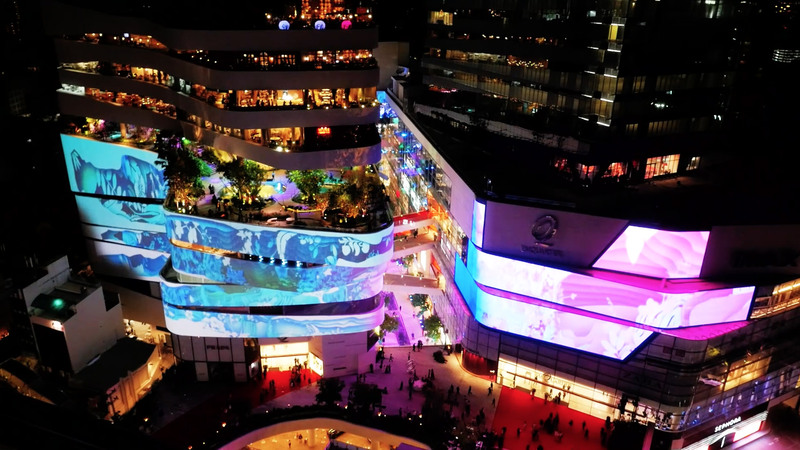 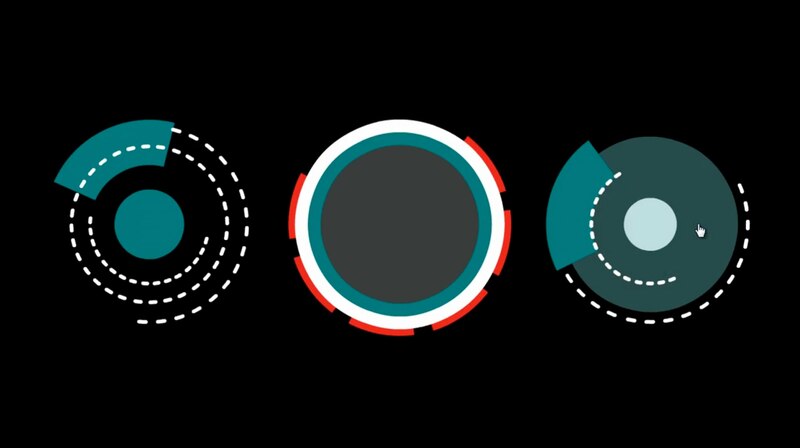 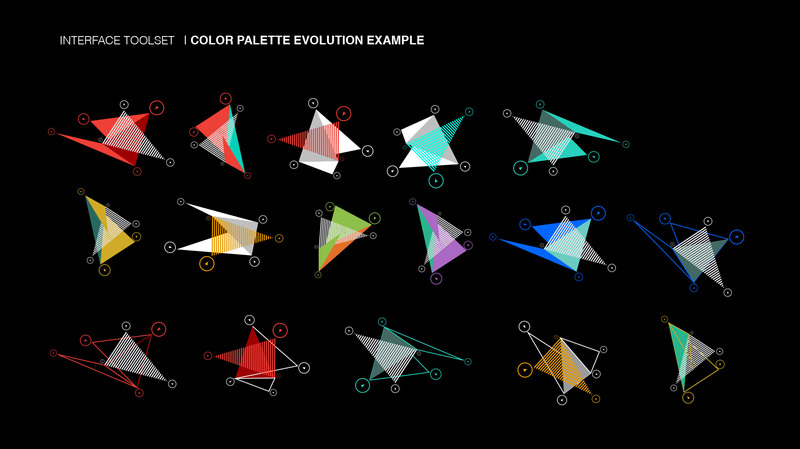 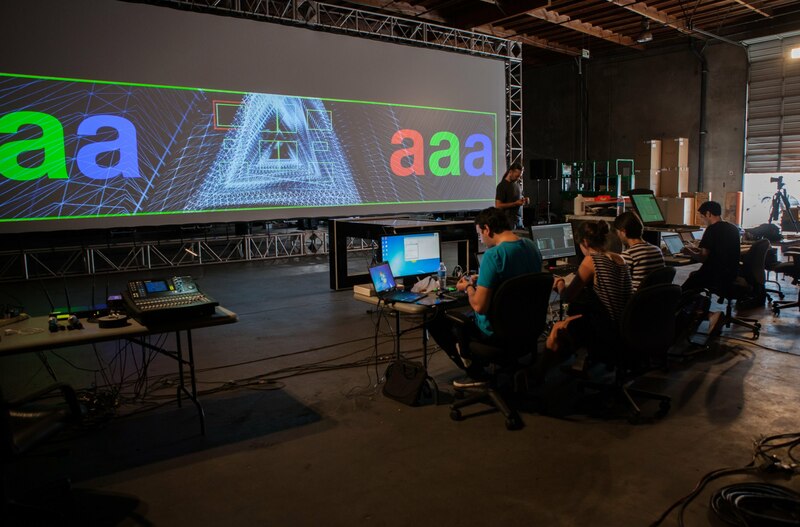 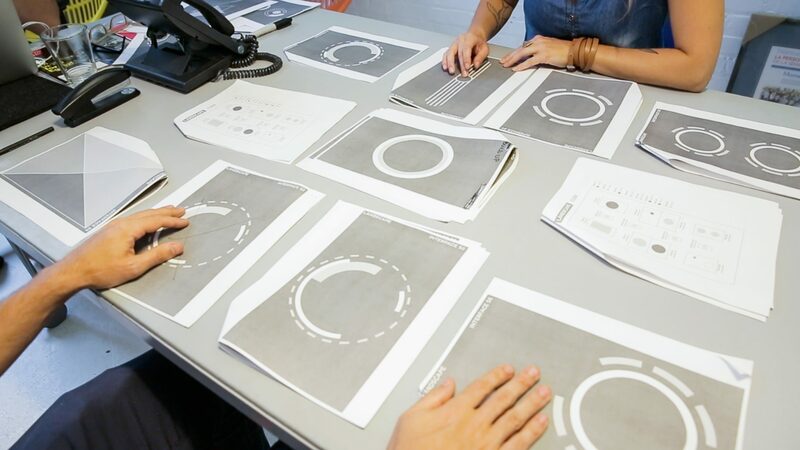 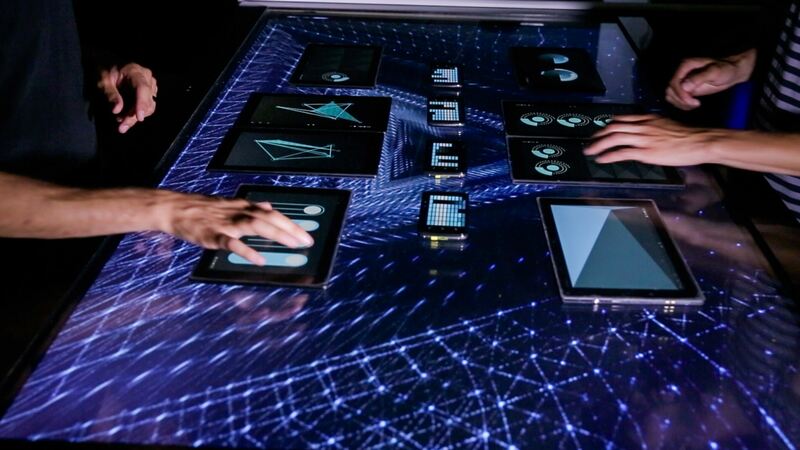 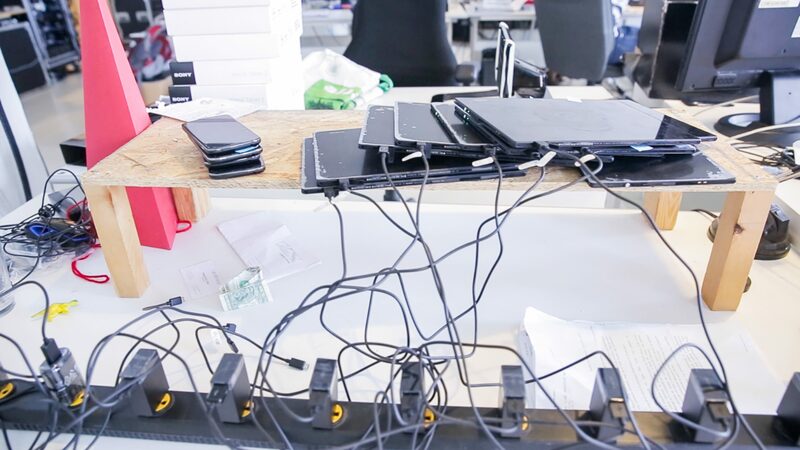 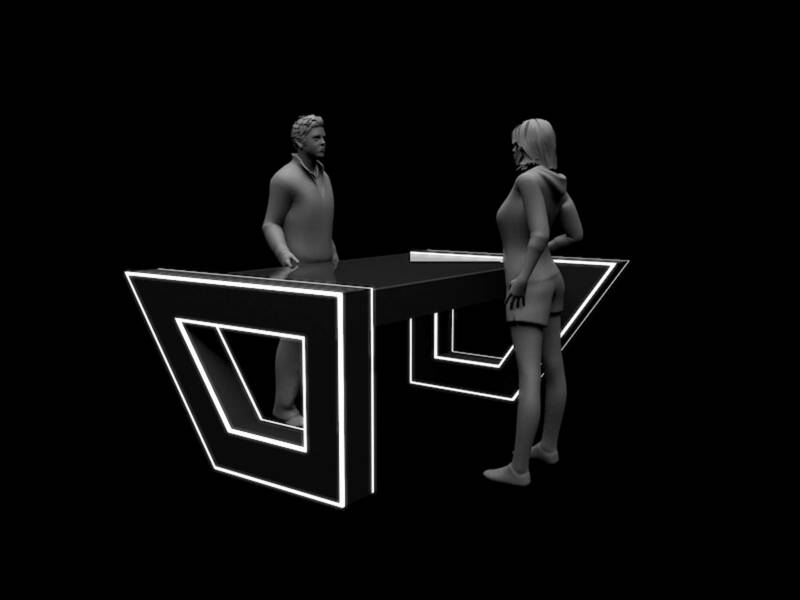 In its simplest form, the challenge presented by Qualcomm to Moment Factory was to create a live demonstration of how emerging digital cultures can re-imagine mobile technologies in the creation of new experiences. 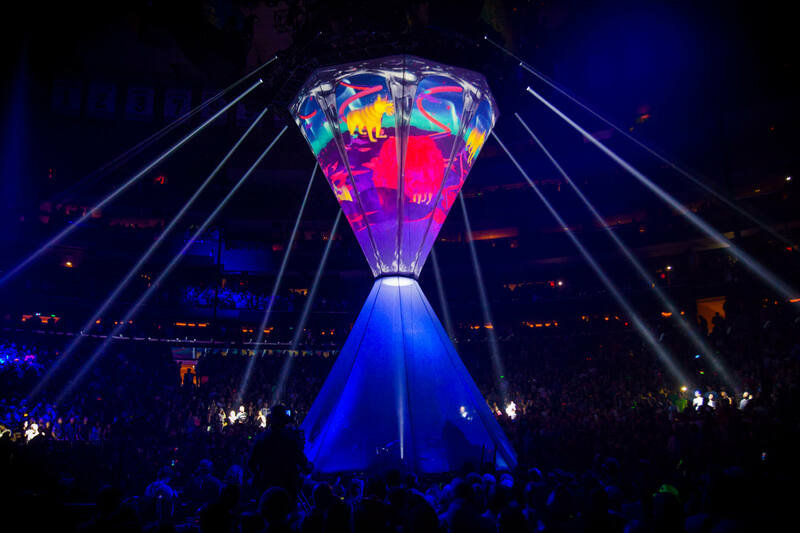 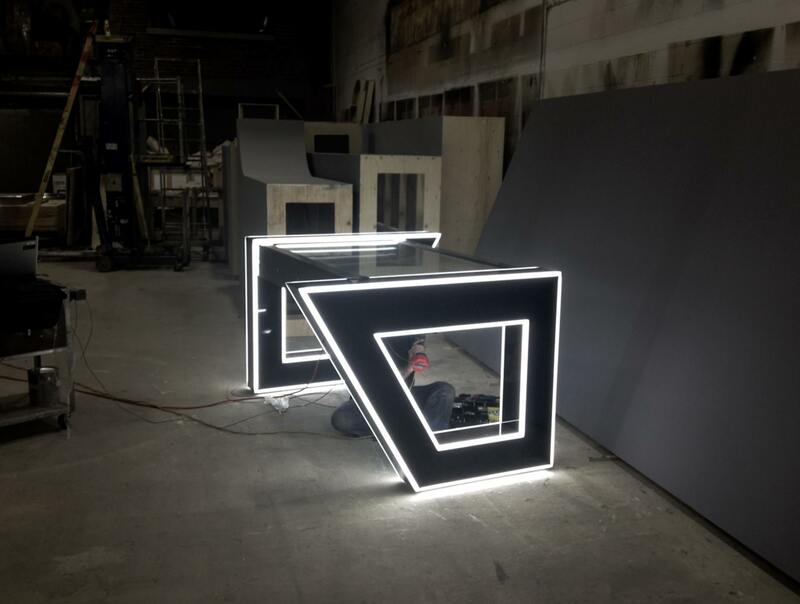 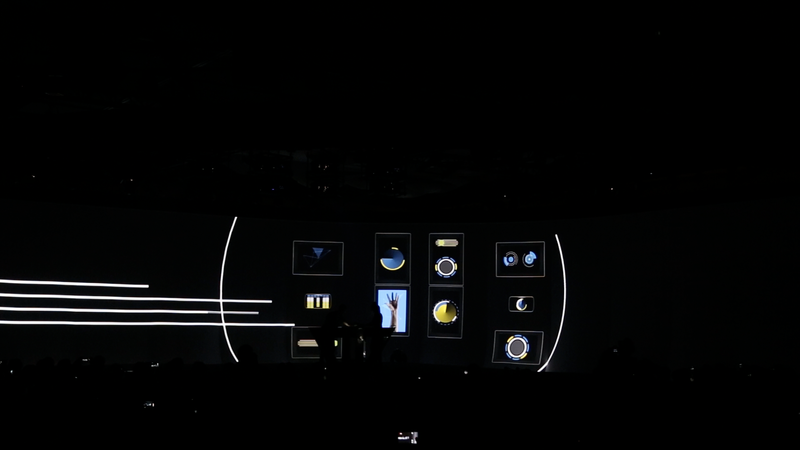 Both surprising and inspiring audiences, the goal of the opening show was to use mobile technology to create an immersive and compelling performance. 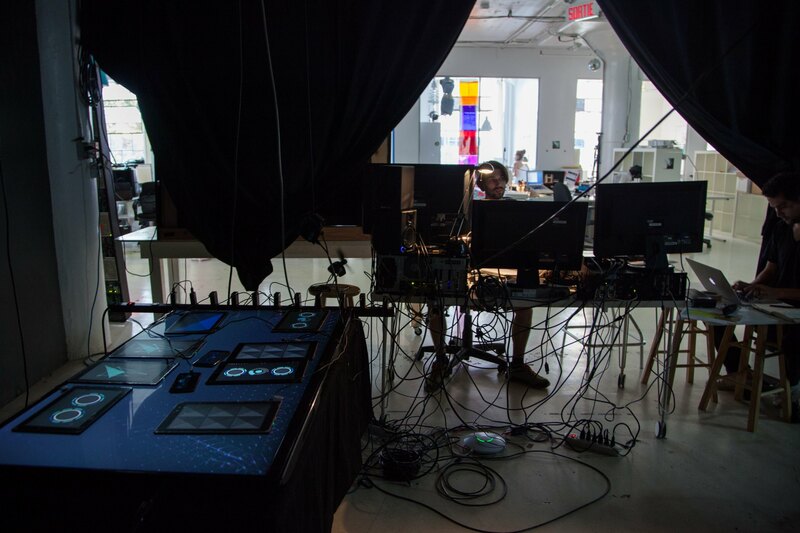 As this challenge reflects Moment Factory’s spirit at its core, we hoped to offer an opening show that was alive, playful, and most of all technologically innovative. 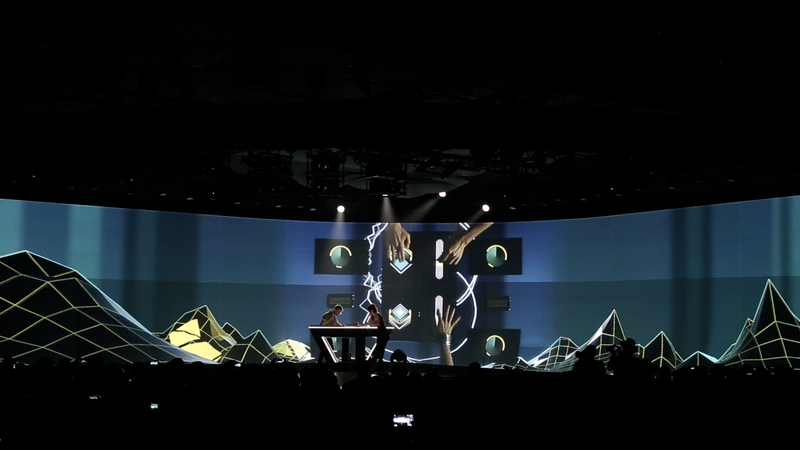 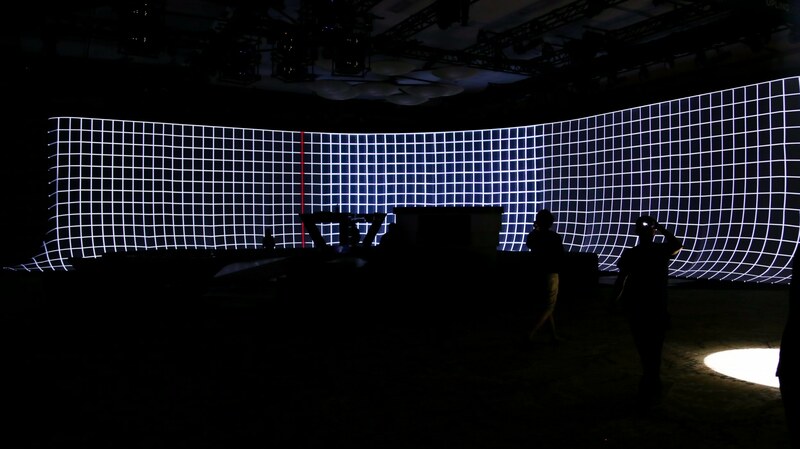 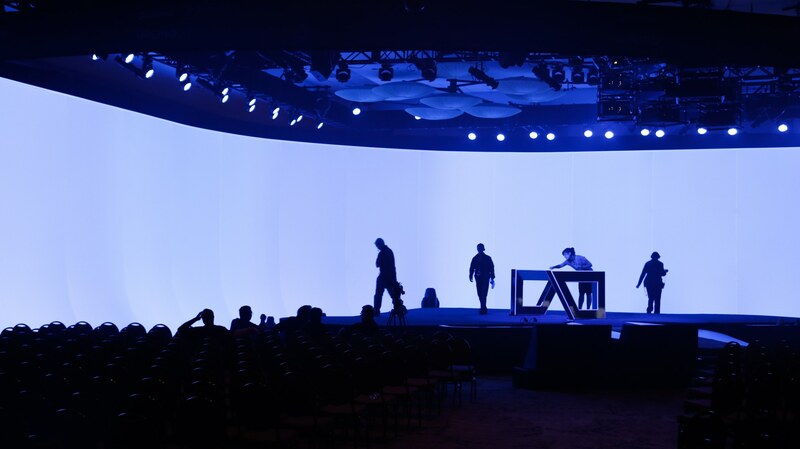 Our show set the stage for a battle between graphics and sound, a unique experience that delivered Qualcomm’s corporate message with a fresh approach.